It would be awesome to do something like this all over the world! A mini CN Tower in front of the CN Tower... Eiffel Tower... Leaning Tower of Pisa... If I ever become rich and travel all over, I'm going to do it! Haha. 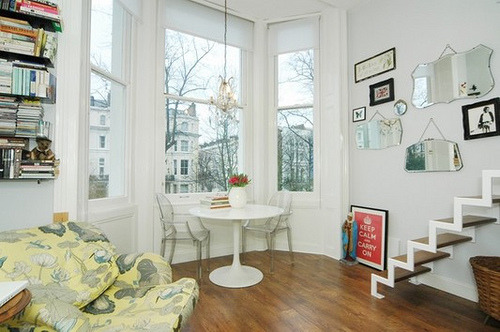 This apartment looks awesome. I love those stairs! Although I would probably trip & fall off of them, ha. 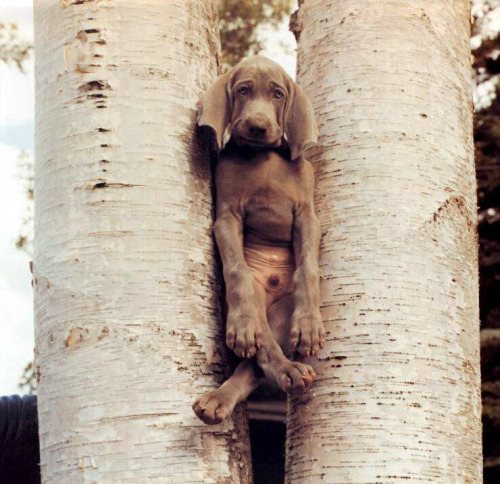 Cute little dog just hangin' in the trees. What an awesome fort. This makes me want to build one. 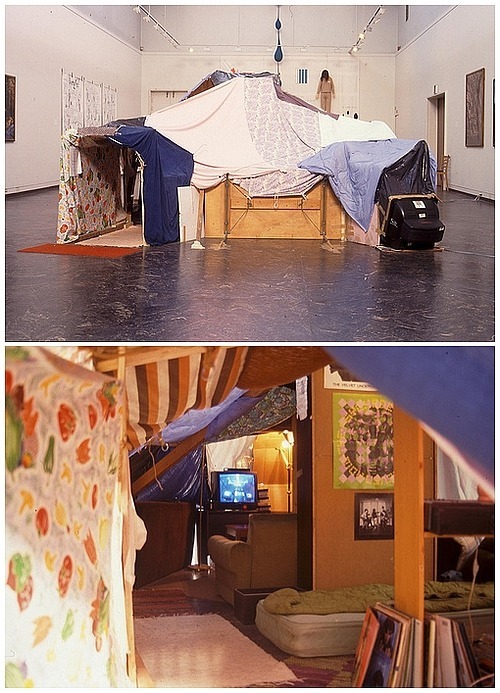 The only thing I hated about building forts was cleaning up, haha. Why can't you keep the fort up forever?! 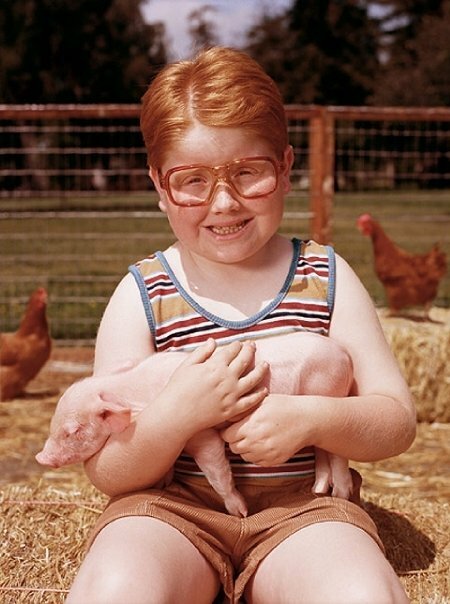 This photo never fails to make me smile. I can't wait to go back to Paris. & do this. So cute. 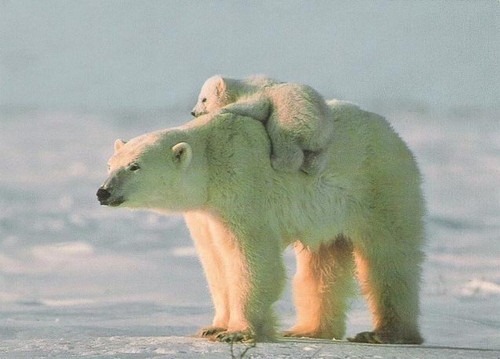 They look so cuddly. I but I know if I saw one coming towards me I would run the other way. I love this look! 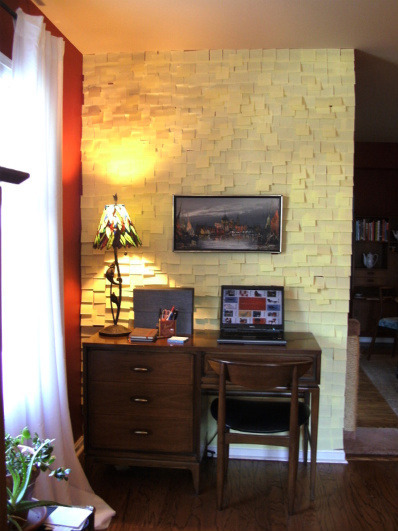 A wall covered in post-its! 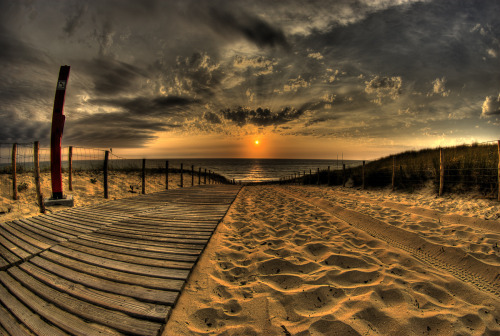 i've slept on a beach before... it's heaven. 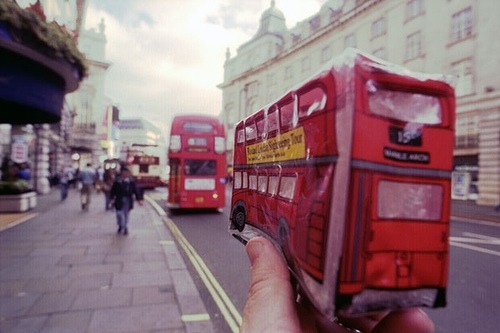 I love that first pic with the bus - such a cute idea!